To create a New message from the FirstClass Desktop click, on New Message. From the FirstClass menu bar, click on Message, then on New Message. The New Message screen will open for completion. Standard account includes a REPLY button on with a drop-down menu of options. Sends reply to the original sender. Sends reply to anyone that received the original message. Includes any text added to the original message. Sends reply message only to sender of original message. If you select all/a portion of the message, the selected text is included with the added text. 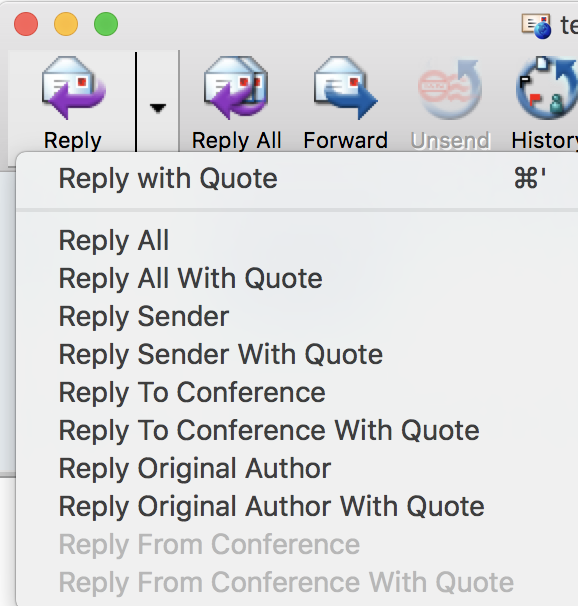 If you are in a conference reading a posting form a person, example from Irene Smith, you can reply directly to Irene using Reply Original Author. If someone had forwarded a message to you – perhaps Sue sent the message to Joe and Joe forwarded the message to you – this form of reply sends an email directly to Sue. If you want to include just a portion of the original message, click and drag text to highlight the portion you want to include. Open sent message, click on History and the history box will open. A shortcut on the keyboard to perform this function is Command Shift H.
Click the Enter (Return) key. 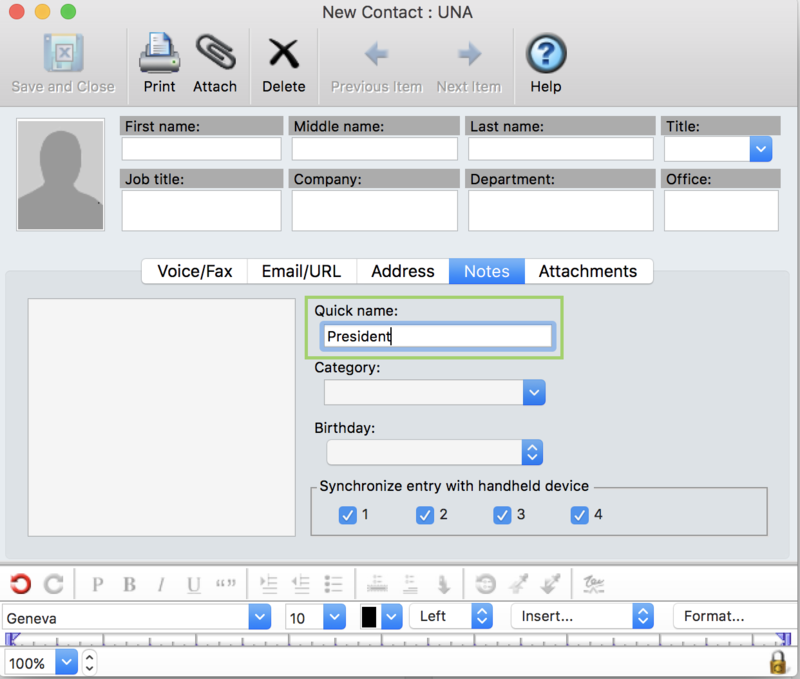 Click on New Contact on UNA desktop. A New Contact card will open enter in information. Voice/Fax tab – First and Last Name with phone numbers. Email/URL – Enter business and personal emails. Address – allows for business and personal addresses. Notes – allows for Quick Name – Defaults to First Last name but change be changed to something more convenient. FirstClass can use Quick Name entry to locate and address a message.